MainAll NewsInside IsraelAnother Gas Discovery for Delek, Noble Energy! Another Gas Discovery for Delek, Noble Energy! Noble Energy and the Delek Group announced on Sunday another significant discovery of a natural gas field off the coast of Haifa. The field, located in the Mediterranean waters 120 kilometers (74.5 miles) northwest of Israel's northern port city, reportedly totals about 1.2 to 1.3 trillion cubic feet. Gas-bearing strata some 40 meters thick was discovered at a depth of 5,500 meters in the offshore Tanin 1 (Crocodile) well. That strata is part of the Tamar sands structure, according to a report published by the Globes business news service. It is divided into two prospects, Sand A and Sand B. Tests are currently being conducted by Noble Energy as the firm stabilizes the borehole that was created during drilling. The company will conduct wireline, electrical, seismic and magnetic testing as well as logging tests to check the composition of the rocks, liquids and the natural gas at the site, officials said. The share of the Tanin license owned by Delek is through Avner Oil and Gas LP and Delek Drilling LP. The Tanin field is reportedly slightly larger than the Yam Tethys reservoir, which is rapidly depleting and which has been an expensive alternative to Israel's Egyptian gas supply that has been repeatedly disrupted over the past year. 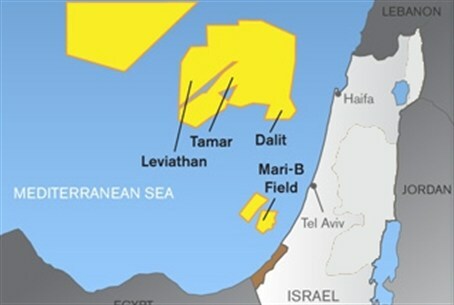 In a separate development, according to Globes, Delek, Isramco Ltd. and Ratio Oil Exploration have decided not to develop the Or natural gas prospect located in the Med Yavne offshore license. Tags:gas field, oil and gas, Noble Energy, Gas Fields, gas discovery, Delek, Tanin, Avner Oil and Gas, Yam Tethys, Med Yavne, Or natural gas prospect, Ratio Oil Exploration, Isramco Ltd.